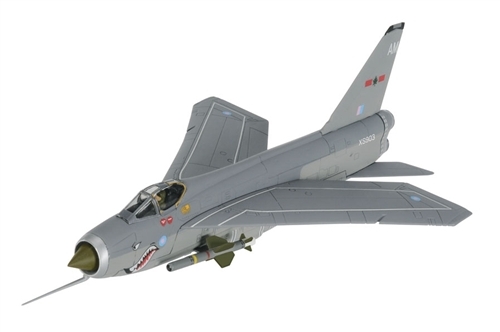 The English Electric Lightning is a supersonic jet fighter aircraft of the Cold War era, remembered for its great speed and unpainted natural metal exterior finish. It is the only all-British Mach 2 fighter aircraft. Renowned for its capabilities as an interceptor, RAF pilots described it as "being saddled to a skyrocket".